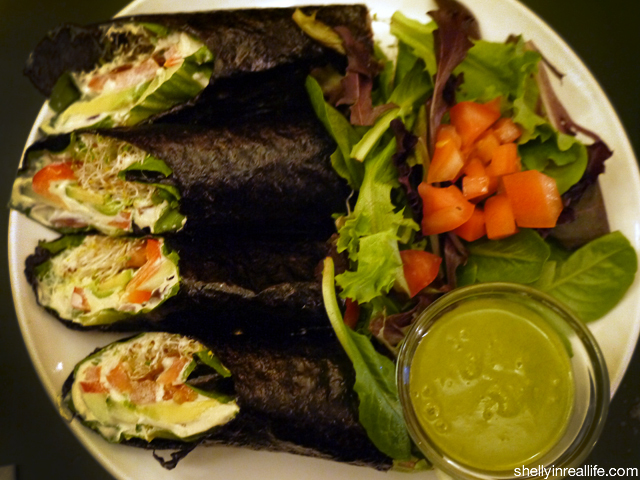 I want to declare that I am OBSESSED, yes, I said OBSESSED, with a raw vegan restaurant. Wait, did you read that right, or have I been on this cleanse for far too long? Well, let me start from the beginning. On Day 14 of my 3 week Clean Cleanse, I wanted to try new restaurants that I would never normally go to. The first cleanse weekend, I gave J two options, we could go to Angelica Kitchen or Quintessence. Angelica is a cooked vegetarian restaurant vs Quintessence which serves 100% organic, vegan and raw food. Well, I guess you can tell which one he chose. So for the entire week, I was trying to get someone to go try Quintessence with me, since it had pretty good reviews on Yelp. Whenever I mentioned that we can either try this cool raw vegan restaurant, or something else, no one was too enthusiastic about raw food. Just looking at Samantha play with the food in her martini cup made me want to hurl, but I assure you, the food at Quintessence is anything but goo. As the week came to an end, I was lucky that a friend who was visiting me was open to the idea of Quintessence. So on a Friday night and we discovered how delicious raw vegan food can be. My absolute favorite dish of the night was their Scallion Cheese Roll. It was a veggie sushi roll, binded with a cheese that had the consistency of cream cheese. Say what? How do they make this vegan cream cheese? Turns out it's only made up of cashews, olive oil, lemon, garlic and some salt. Who knew cashews can taste this rich and creamy and makes such a great cheese substitute? Apparently vegans knew. 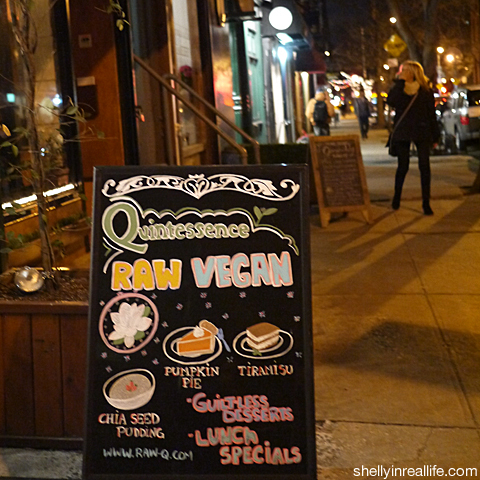 I'm not sure if it's because I miss the taste of cheese so much or if it's just being able to order from a menu where I can have most of the food, but I left Quintessence debating if I should be eating on a raw food diet more often. Quintessence is a tiny 18-seater restaurant, neatly tucked away in the East Village. When we got there at around 8:30 PM on a Friday Night, the restaurant was packed, and we were told that the wait would be around 20 minutes. As we waited for our table, we browsed around a vegan food shop, Live Live & Organic, which was right next door. I felt like I was exploring this new world of food that I was not previously exposed to before. This cleanse has really opened my eyes to so many new things from essential supplements needed in day to day living to new foods such as Chockalet Chip Kale snacks, made in my hometown Oakland! Once we got the call that our table was ready, we headed over and ordered 3 dishes. 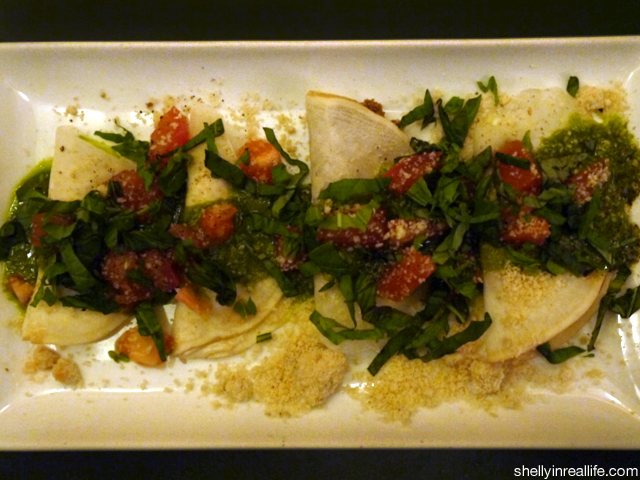 For an appetizer, we ordered the Ravioli Combo, made with a “cheese” filling, inside paper-thin turnips and pesto sauce. This was surprisingly rich in flavor and cutting through the fresh turnip to find the cheese filling was so fun and delicate. 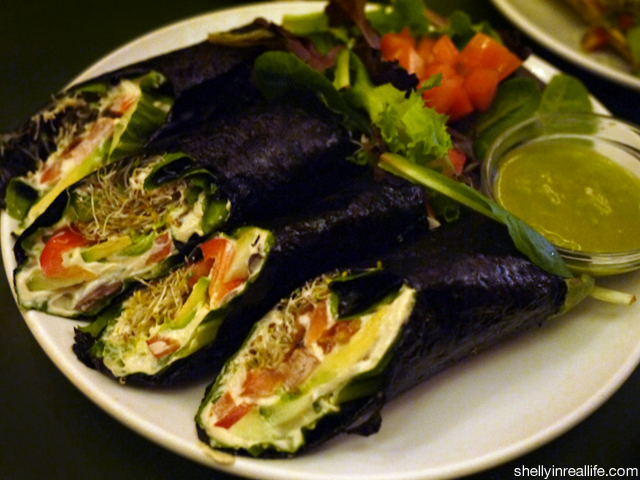 Then of course we had the Scallion "Cheese" Roll which was nori rolls filled with our tasty scallion crème cheese, avocado, red bell pepper, cucumber, caramelized onion, tomato and sprouts. The only thing that was a tad unexpected here was the olives inside. I normally don't love olives, but in this instance, it helped give more flavor to the roll and I savored it. If you're doing the cleanse, you can opt out of having the red bell pepper and the tomato. Confession time: I didn't opt out of having the red bell pepper and tomato, which are both nightshade vegetables that should be eliminated during this cleanse. But, I figured ifthe only thing I was doing to "cheat" was to eat a few pieces of nightshade vegetables, I was doing pretty okay. The final thing we had was a California Pizza Cheddar cheese, avocado, olives, sprouts, caramelized onion, and sour creme. These ingredients laid on top of some type of seed bread that was slightly crispy, reminiscent of, of course, pizza. The two entrees also came with a side salad and green sauce. 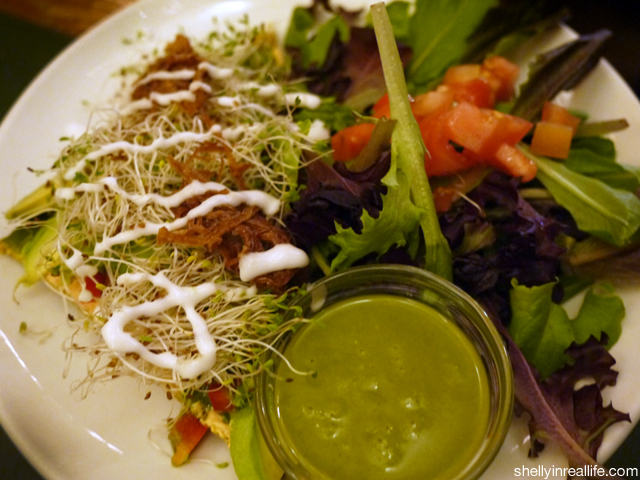 The green sauce made a savory and surprisingly rich salad dressing as well. The waitress told me that it was a blend of herbs such as basil, mint, sage, along with a bit of olive oil and lemon. I vow to get a better blender one day to allow me to make such rich dips from all raw food. These three dishes, while all raw, weren't at all noticeable that you were only eating raw food. That is, of course, unless you avoid vegetables like a plague, in which case there is no restaurant that can make you anything healthy which will make you forget about fatty foods. 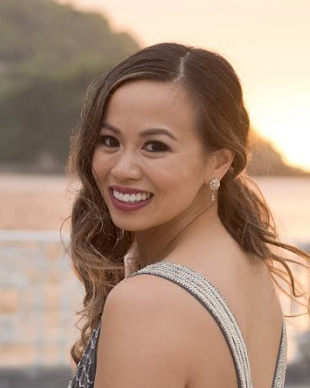 My friend and I found that we were stuffed by the end of dinner, and my friend was pleasantly surprised that even though she was so full, that she didn't go home feeling uncomfortable and didn't wake up with what she likes to call her food baby. It's true, clean food is easier to digest, and raw vegetables has special enzymes that help with digestion, enzymes that are killed once it is cooked. I'm so glad that being on the cleanse opened my eyes to the raw food movement, and I'm excited for what I might discover next.